LINCOLN, ME – Brian Souers cut his first load of wood on a 35-acre lot in Grand Falls Plantation in 1980, one man with a chainsaw, the same way many logging companies have started out over the years. Thirty-seven years later, his Master Logger company, Treeline Inc., is one of the largest logging contractors in Maine and has diversified into harvesting, trucking, chipping, road and bridge construction, sawmilling rough lumber and specialty timbers, recreational land sales and development, site work, retail distribution and wholesaling of culverts, a service center for trucks and heavy equipment, to name only a few. It has more than 60 full-time employees on the payroll even in a tough logging economy, and more than 100 pieces of equipment. Add in several facilities and properties, and it is a company with a big impact and footprint in the local economy. Yet Brian is apt to laugh if you suggest he’s been successful. He says that depends on how you define success, and if being busy all day every day is success, then he has achieved it. Originally from a small town in New York, Brian grew up loving the woods and became a trained forester who worked for three years for International Paper in the late 1970s before becoming a logger. A born entrepreneur, his small start in logging didn’t stay small for long. Even today he is constantly looking for new opportunities in forest-related businesses, taking an idea and running with it. Some of the latest additions to Treeline’s products and services lineup include building recreational camps, barns and sheds in Lincoln on-site and delivering them to customers; producing hemlock timbers and curbing; and turning out a growing variety of cedar products. 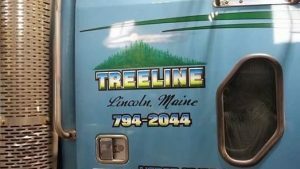 Treeline was an early member of the Professional Logging Contractors (PLC) of Maine when that group formed in 1995, and subsequently Brian was closely involved in the creation of the Master Logger program by PLC. Treeline Inc. became Master Logger certified in 2002. Over the years as Treeline grew, Brian’s awareness that he needed to do more than simply run a business grew as well. His business philosophy became as much about building people as it did about building revenue and customers. He also came to realize that if you are a logger today, you need to get involved on behalf of the industry. Brian credits other good logging contractors and families in the area with teaching him that part. He was fortunate enough to be exposed early in his career to industry movers and shakers, particularly his long-time friend Cheryl Russell and the Hanington family. Getting involved has taken Brian to the halls of the Maine Legislature to testify on behalf of legislation affecting loggers. It has prompted him to stand up at public hearings before hundreds to speak about issues affecting loggers. He has been President of the PLC. Brian encourages loggers to participate not only in their state logging association, but in other organizations they might not immediately think of as logging-related, like the Forest Resources Association (FRA). The need for loggers to speak and act on behalf of the industry is greater now than ever; the business has grown more challenging over the years, just as many other traditional industries in America have. It is a mature industry that is hard to break into. Big changes in traditional timber land ownership have made logging less predictable than it once was, and there is a long list of other changes in technology and other areas that make it more complex and full of risk. Master Loggers are faced with the same challenges as other loggers, but they are also well equipped to lead the way in improving the industry and fighting for its future. That starts in their own companies. 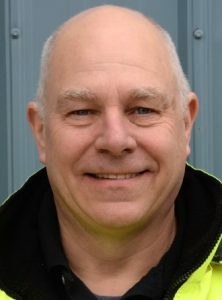 Brian is quick to say Treeline is not the only company that does it, but building the employees and the Treeline community has been a cornerstone of his business for decades. Events involving the entire company are part of the annual schedule, and weekend company getaways have long been standard. 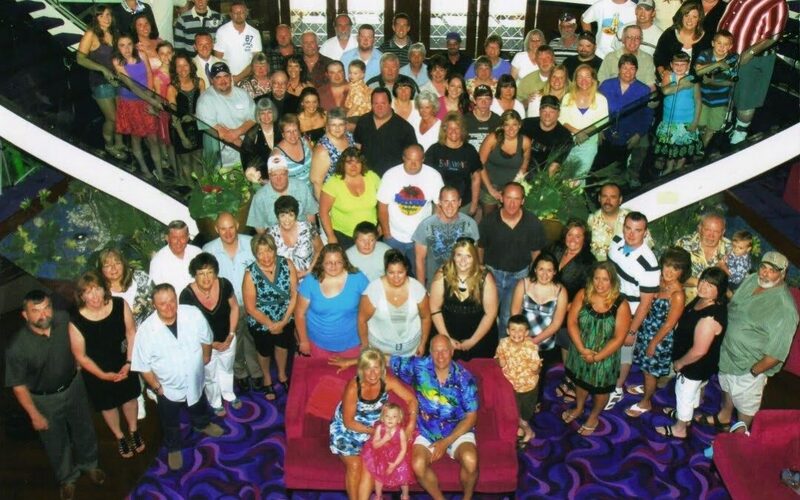 On its 30th anniversary, Treeline took the entire company and families on a 7-day cruise.